What is the difference between a financial advisor and a behavioral investment counselor? 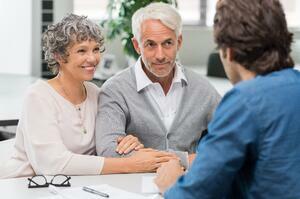 There are a number of different types of “financial advisors” today. There’s the professional people-pleaser, the over-planner, and at least two types of portfolio junkies. The professional people-pleaser hangs his hat on sales and relationships. The over-planner obsesses over the sanctity of his or her financial plan. Portfolio junkies spend their professional days under the delusion that they might eventually come to command the world’s most super special portfolio. None of these individuals are likely to deliver a relaxing multigenerational retirement journey because they’ve acquiesced to the exhaustive pursuit of aforementioned half-truths. This philosophy is pervasive in the financial industry. But, it is a way of being that is inherently reactive and grounded on nothing more than a client’s opinions and insecurities relegating the financial professional to nothing more than a people-pleaser, prescribing according to the client’s demands. It makes about as much sense as a patient rushing into a doctor’s office and demanding that the experienced physician, “Listen up!” and carry out the wishes of the unwell. If you meet the doctor who will prescribe on the whims of the patient, please run – do not walk – to the next clinic. In the same way, it is nonsensical to assume that because an individual has money (THEIR money!) that they inherently know the best course of financial strategy. Don’t settle for less than a faithful financial planner who will tell you the unvarnished truth no matter the diagnosis. Then there’s a slightly higher order of professional I call the “over-planner” who attempts to bring clients’ expectations in line with reality through the medium of a highly specific, numbers-crunched financial plan. “Accurate figures,” “real-life numbers,” are the over-planners attempt to arm him or herself against the clients’ opinion-du-jour with cold-hard facts. But, endless charts, graphs, and numbers are ultimately not enough to address the multifaceted needs of today’s retirees. Many advisors will try to find his or her identity and value proposition in “superior portfolio construction.” This wayward advisor has wandered off into the illusory desert of potential outperformance under the guise of superior investment selection or, even worse, market timing. This is a uniquely lost individual because he is dangerously well-intentioned. After all, if someone is paying you to oversee their investments wouldn’t it make sense for you to travel to the ends of the earth in pursuit of that guru who can consistently pick just the right company at just the right time? This myth offers clients, and advisors, tremendous ego gratification by promising to simply make more money than everyone else. The problem is there’s simply no such “guru” (but you already knew that), and specifically there’s no statistical evidence for the persistence of outperformance. In plain English: even if an advisor did cobble together an appropriate amount of well diversified funds who had each shot the lights out over the last 3, 5, and 10 years, history teaches these same funds are less likely to do the same in the future. Over the last 15 years as an investor you have seen the S&P 500 go down around 50% in the busting of two “dot com” bubbles and the great recession. You can’t help but want to believe there’s someone who can rid you of the pain of market volatility. Some advisors know this and are happy to sell you some “pain killer” often in the form of a superior algorithm or other information. As ludicrous as it sounds, the idea is to empower you to be consistently invested in publicly traded companies before they go up and, having “found a crest,” move your portfolio to the surety of cash allowing you to pocket a tidy gain. It’s okay, we all have a hidden market timer in each of us, it’s just not okay to act on these ridiculous impulses. I believe the root of this sin is akin to Eve and Adam eating the apple in their attempt to “play God” and to know what God knows. Listen closely: the serpent is still here. Here’s the truth: we don’t know what the stock market is going to do on any given day, and we don’t feel bad about this because neither does Warren Buffet, or anyone else. What’s more, armed with faith, patience, and discipline…WE DON’T EVEN HAVE TO. I’d like to introduce the Dalbar study. Take a minute and google search Dalbar study on the nearest device you can find and click the images tab on your web browser. What you are looking at is chart after chart showing the glum reality that you as an investor are prone to behave irrationally and in so doing cost yourself around 4% to 6% per year in lost returns. In short, it concludes that you are likely the greatest threat to achieving your family’s most cherished financial goals. As behavioral investment counselors, we help manage the most important factor in your investment strategy: you. Specifically, there are at least 8 behavioral mistakes we believe you, as a long-term investor, are wired to make: (1) panicking into or (2) out of the market, (3) overdiversification or (4) under-diversification, (5) speculating (especially when you think you’re investing), (5) euphoria, (6) chasing yield, (7) leverage (margin) and (8) letting taxes drive the wagon. We take these common mistakes and their expensive consequences seriously as evidenced by Dalbar’s study. We’ve banked our professional lives on helping you cease from being your worst financial enemy. Of course, we provide financial plans, portfolio construction, and stellar client service. But, it’s the courage to look you in the eyes when it matters most and utter the three most important words an investor can ever hear: “Don’t do that,” where we believe we set ourselves apart. As behavioral investment counselors we strive to be a needle in an otherwise messy financial haystack. We’ve spent years establishing ourselves in some of our industries greatest resources (including the inimitable Nick Murray) all for the purpose of keeping our focus on where it matters most – the actual investor – and not on the trends and traps or popular fads. As behavior investment counselors we take great pride in Dr. Richard Thaler being awarded his long overdue noble prize last year for his work in behavioral economics. Dr. Thaler found overwhelming statistical evidence to support the idea that many economic models are flawed because they bought into the assumption that people behave rationally, and as it turns out (and Dalbar agrees) people are often emotional and irrational. The need for a coach to help you through turbulent times is real. The Nobel committee has recognized this reality and we hope you will as well, by finding a tough, but loving, behavioral investment counselor to help shepherd your family’s financial journey. Any opinions expressed are those of the Drew Hall and not necessarily those of RJFS or Raymond James. All opinions are as of this date and are subject to change without notice. The information contained in this report does not purport to be a complete description of the securities, markets, or developments referred to in this material. Prior to making an investment decision, please consult with your financial advisor about your individual situation. Diversification and asset allocation do not ensure a profit or protect against a loss. Investing involves risk and you may incur a profit or loss regardless of strategy selected. The S&P 500 is an unmanaged index of 500 widely held stocks that is generally considered representative of the U.S. stock market. Per Dalbar: The Average Equity Investor is calculated using results supplied by the Investment Company Institute. Investor returns are represented by the change in total mutual fund assets after excluding sales, redemptions, and exchanges. Results capture realized and unrealized capital gains dividends, interest, trading costs, sales charges, fees, expenses, and other costs. Please take as much time as you need to read, research and absorb these truths. I don’t believe you can spend too much time meditating over the reality that you are likely the greatest threat to the achievement of your families most cherished financial goals.